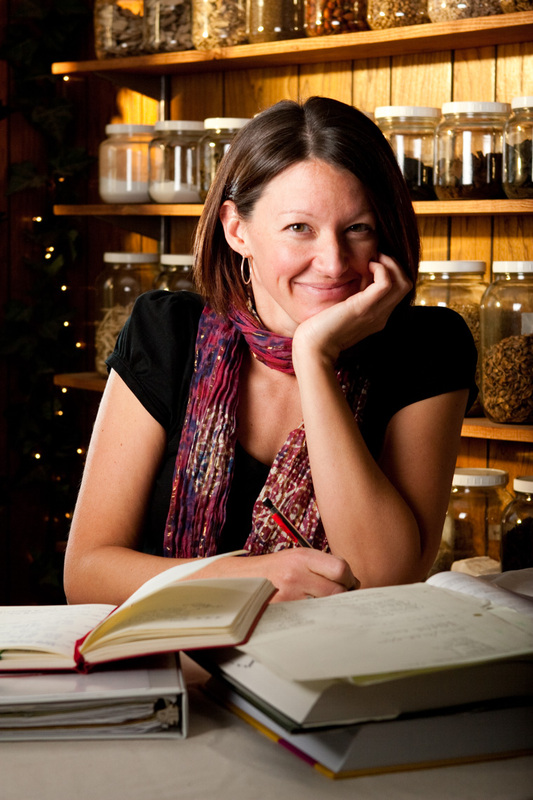 Diana Hermann, owner of Zi Zai, works at her kitchen where she experiments with herbal recipes, photographed on October 2, 2009. Photographed by Steve Glass a professional photographer who specializes in environmental portraits. This environmental headshot (portrait), was created on location. Steve Glass of Glass Photography services the men, women, children, kids, families and people of Fort Collins, Windsor, Loveland, Wellington and the surrounding areas of Northern Colorado and southern Wyoming (and sometime Denver Metro area), through professional photography creating unique environmental portraits for his corporate clients.